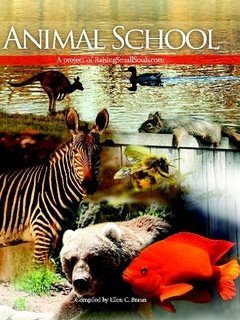 The first time I watched "Animal School" I cried. I cried for my son ,I cried for every kid who makes their way through an often difficult education. I cried for my self too. I was a very bright child. I tested high but always had trouble in the homework department. One teacher told my Mom that I was smart and should not be playing, I should act more studious. Another said that because I was bright and my grades did not match my smarts, I was just lazy. These difficult times changed my young attitude about learning. It was no longer exciting . It became a chore. That is the crime in this - robbing a child of the innate joy of learning. I went on to work in the school system and saw that most children struggled, very few retained their natural desire to learn and many fell through the cracks. I took a huge leap of faith and decided that wanted to salvage what little excitement my son had left. I brought him home to learn. Animal School is a powerful message. I sent it anonymously to every address in the Community School directory. I hope that opened one eye. It would have to I think. You can find the video, buy the download or book, or get advice on raising happy and emotionally healthy children amidst turbulent times at Raising Small Souls. I have received Ellen's newsletter for years - it's a wealth of information for parents. I have 2 Hardback copies of Animal School and 10 pocket softcovers to give to some very lucky winners. These wonderful books were offered by Ellen Braun of Raising Small Souls. I posted a link on my Blog(babyandi) for the www.raisingsmallsouls.com with a link to the video. When I was a child, I struggled in school. So this video touched home for me. I have a 11 month old son I hope he doesn't struggle when he goes to school, this book/movie is an inspiration for all children even us old ones!!! I actually put this video up 2 months ago! Because I am a special educator, I found it fantastic. Everyone I've showed this video to loved it. Here is my post. 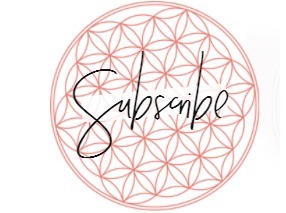 I am going to subscribe. I entered the Breezy Bags! I posted this, but truly, it's one of those things I happily would have posted regardless of a contest. I hope even just one parent will take a moment to watch it from my blog and take something from it. This video is awesome! I love how it shows so many real life problems seen in schools today and uses animals to relay the message. I think this is a good way to show children that not everyone is alike. Oh my goodness, thanks for a worthwhile watch! How we are hurting our children. I'm going to pass this to all my teacher friends. See this video just resonates with me, my husband and I are on the fence - homeschool or public. The last thing I want is my daughter to be ignored, disregarded, or her creativity/personality stifled because it may not be convenient. Thank you for posting this video. I'm going to show it to my husband when he gets home. Wow what an awesome video!!! I loved the video. It was sad yet very beautiful. Thank you! What a great message. As a retired teacher, I get it. Thanks for the chance - I'd love to share the book with my nephew. Wow. That video touched home and is really emotional. I so understand this video. We have a 9 year old son that has always struggled with reading disabilities. He excells in other subjects, like math and honestly, he's fantastic at art, especially painting. But, the reading area is so difficult for him. This video really touched home. this is great for kids in school. What a wonderful video! It brought up so many memories of my own struggles when I was a child attending school. Unfortunately I kept all of my frustrations and hurt feelings inside me when I was a child, uncomfortable with sharing what I experienced with my parents or teachers and just feeling alienated and different, so I can only hope and pray my own children don't experience those same types of things I remember feeling and if they do, they know they can come to me to talk about it with. Thank you so much for sharing this video with us! I saw this video previously in my school (I am an aide). Lovely message. It brought back memories of my 3 sons in school. They were all so different and the school just treated them all the same. I enrolled one of my sons in a Montesorri school because of this but because of the expense I had to take him out and put him back in public school. It speaks to allowing children to follow their strengths and interests. It is amazing how well children know what's best for themselves until we convince them that they don't, and thus start the spiral of self-doubt. All we need to do is provide the opportunity to learn and the behavior worth emulating. I love the video, although it makes me cry a bit. I worked as a special ed staff assistant so I often saw the kids struggling. Fabulous video. I hate labels and its so hurtful. Watching the video made me very sad. Poor little ducky who didn't get to swim! Both of my children had struggles early in school so this is meaningful to us. Thanks for the giveaway. I love that it makes children realize there's nothing wrong with them. My son would greatly benefit from this! We are a homeschool family and I realize that it is hard for many children to stay interested in subjects. As a parent/teacher, I have tried to make learning more exciting than just to say we have to learn it. Thanks for this giveaway. I have a son who struggles with learning, so this really hit home for me. I was very touched by this video. My grand son is great at certain things but not so great in school. He struggles so much. I'd love to share this book with him over and over so he knows he's still a great kid. 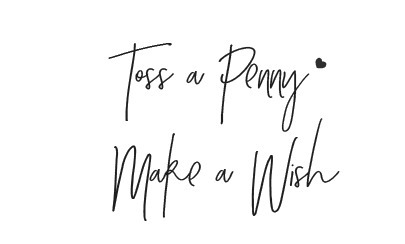 I subscribe to the Wishing Penny. I agree that each kid is unique and has different gifts & different learning styles. That's why we homeschool :). as a youngster, i also struggled in school and never really understood why i wasn't like everyone else. i had some great talents other kids didn't and it took a loooooooong time for me to realise that it's okay to be different and you don't have to be like everyone else to please them. thanks for sharing the video, it was a real eye opener! I watched the video and found it so important. I plan on showing it to my friends. Having a son with high-functioning autism, this really touched my heart. So many people don't understand the struggles our children go through in school, with or without disabilities. 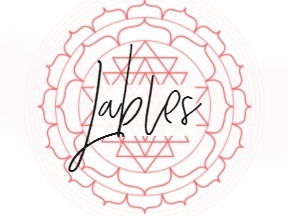 I shared this video on my facebook and plan on sharing it on my blog as well. Thanks for sharing it! I loved the video. It was touching and inspirational. I think a lot of children have trouble at school, and all children are different and have different struggles. I think this movie is so inspirational. thank you! My second son struggles in school and this helps give a better understanding of what kids can go through. What a wonderful video using animals to represent different problems each kid can face. I homeschool and I love that video. It reminds me that each of my kids have their own strengths that I need to find and work with.